PAUL Walker's daughter has filed a wrongful death lawsuit against Porsche. The 'Fast and Furious' actor died in 2013 when his friend Roger Rodas lost control of the 2005 Porsche Carrera GT they were travelling in and hit a concrete lamppost and two trees before the car went up in flames. 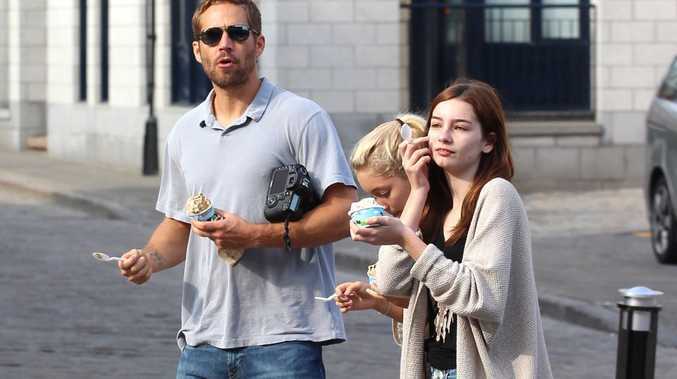 However, Paul's 16-year-old daughter Meadow has filed court documents claiming that Paul was still alive when the car caught fire and a "defective" seat belt prevented him from escaping the vehicle. According to court documents the seat belt "snapped Walker's torso back with thousands of pounds of force, thereby breaking his ribs and pelvis" and leaving him trapped. Meadow's lawyer Jeff Milam told E! News: "The bottom line is that the Porsche Carrera GT is a dangerous car. It doesn't belong on the street. And we shouldn't be without Paul Walker or his friend, Roger Rodas." The lawsuit also claims the car "lacked safety features...that could have prevented the accident or, at a minimum, allowed Paul Walker to survive the crash". Meadow claims that the car Paul was in "had a history of instability and control issues but the company failed to install its electronic stability control system, which is specifically designed to protect against the swerving actions inherent in hyper-sensitive vehicles of this type". Her lawsuit also disputes law enforcement's assertion that the crash was caused by speeding, with Roger driving between 80 to 93 miles per hour. Meadow claims his actual speed was between 63 and 71 mph.